Most of our understanding of film production and analysis comes from the feature film world, but for most people, a short film will be their first attempt at filmmaking. Making short films actually varies a great deal from making a longer project but will use many of the same principles, such as to how to create a scene and tell a story. Here is a look at how these two processes are different and how you can go about the process of creating a short film project successfully. The first thing that you have to identify when making short films is the same as with a feature film: what the film is about. This may seem obtuse, but is actually an item that many people ignore when first writing their script and going through the pre-production process. What this means essentially is what do you want to say with the film, what the basic ideas are, what the reaction you want from the audience to be, and how you want it to appear to the viewer. These basic ideas should then inform your writing and character construction, eventually leading to a structure that will be accessible for a production. This must be simplified for a short film since it has less time, and fewer characters, to get these things across. Therefore it needs to have clarity and simplicity that will allow you to take the audience to the places you want them to be quickly. much fewer steps. This means you have to “trim the fat,” which is a process that happens on all scripts yet takes on a dire need in a short film. Go through and boil down the elements of your story to the essentials, which does not mean trimming out things like dialogue but instead deciding what it is absolutely important. This can mean cutting out characters that are unnecessary because it would be difficult to introduce a lot of extra characters, and when you are actually making a short film, it can be difficult to find and manage too many actors. Locations should also be simplified for the same reason, and take a look at how each scene functions so that you can make sure that each one leads into the other. When you are pre-producing your short film project you will go through the same breakdown and planning processes that you would do on any type of film. This means going through each scene and identifying the locations, time of day, characters, props, set dressings, and everything else you need. You will need to create a comprehensive shooting schedule, identify crew members, and move through the casting process. The obvious difference here is going to be the relative size of it, and since the market for short films does not have the same kind of investment turn around you will need to bring down the scale of the project. 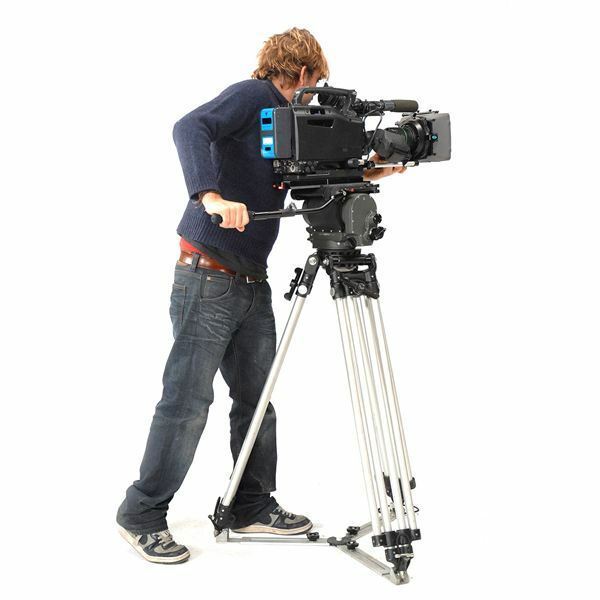 This means that you will want to just have one or two crew positions for each department when making short films, such as just a director of photography and an assistant camera person rather than having the DP be separate from the camera operator and having several assistants. When you are actually directing the short film project you are going to have to keep the flow of the entire project relevant in every scene. Scenes should be able to stand on their own as they are a microcosm of the entire film’s structure, yet in a short film you have less time to have scenes that simply set the tone or describe the character. Instead, these elements have to be injected into a scene structure where every scene gets something done in an effort towards the goal of the final film. This means that you have to make sure that each scene can be broken down into a sentence or two and then will lead directly into the following scene. This is not a hard and fast rule, but is a good way of considering how to structure those scenes. This is going to be something that begins in the writing stages, but must be made into reality and drawn out when actually in production. It is as this point that you can actually begin stripping things out of the film that is unnecessary. What is going to be important is to establish the characters as quickly as possible, and though this exists on the page in terms of the hard facts, it is up to the director to make sure the actors can make themselves known early on. In a feature length film you have the first eighteen to thirty minutes to do this as they come to their primary challenge, but you may only have a few minutes in a short film. Try to make the early scenes exhibit the proper character traits you are looking for and make sure that their primary challenge comes by the third to fifth minute, which may translate to the first or second scene. When you have completed the project you have few venues for it, which means that research about film festivals and possible distributors will have to be done with your specific project in mind. Making short films is usually a stepping stone to eventually making features, or it is a unique outlet that has just not found much of a commercial foothold quite yet. Until then, the process of making them will help you conceptualize how a larger film will play out in production. Here are articles dealing with the short film form.